OK, so the Snow Plows hit the neighborhood today on the North/South streets. 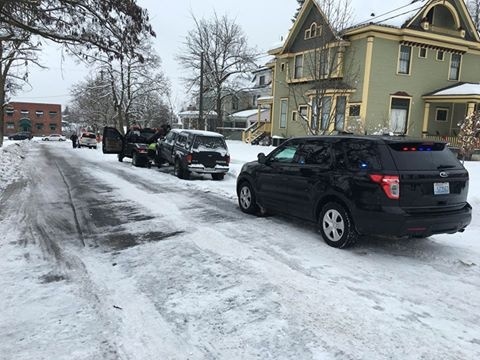 Sadly, 19 cars were towed by the City of Spokane. I think that they are serious this year. You East/West folks have been warned, as they will be working your streets tomorrow. Get those cars off the street before 9AM. Don't give the City of Spokane your money, or your car!